I’m so excited today because I get to debut my new purple hair. 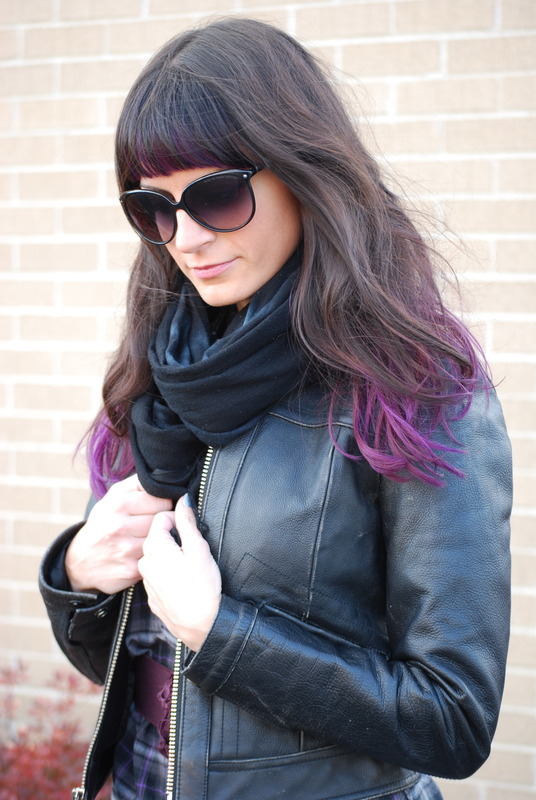 Purple is my favorite color and I’ve been wanting to do purple tips for a while now and Emily at Solo Salon did an amazing job. Although, when I was younger, my older sister bleached my tips so I feel like I’ve been ahead of the trend a while now. 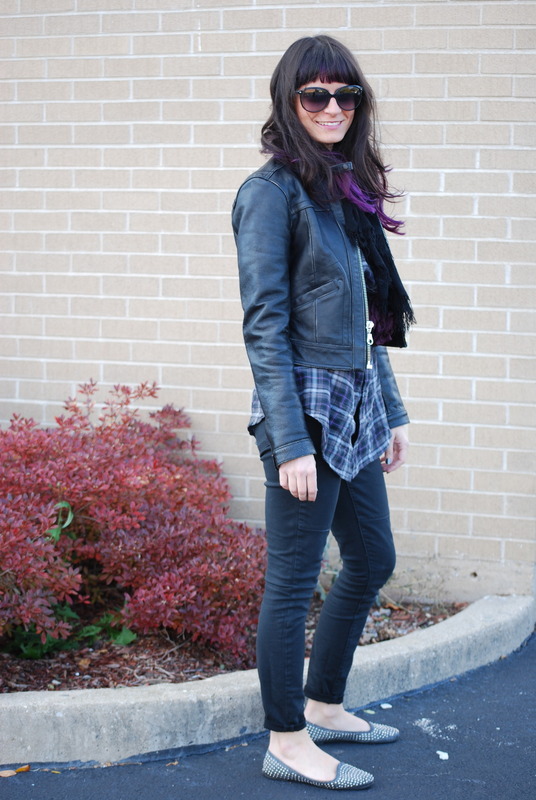 I definitely think fall will be more fun and edgy – bring on the leather and studs.